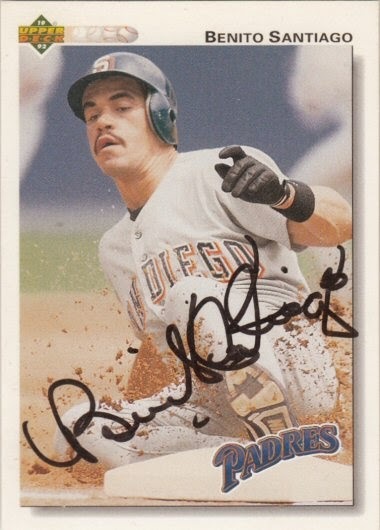 Benito signed a 1992 Upper Deck card #253. That is an interesting looking signature. Benny had a long career. I wonder if that sig got any shorter over the years.